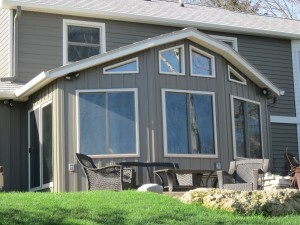 Investing in new windows for your home in the Madison, Wisconsin, area is a big decision, and with so many options to choose from, you may be unsure of what to look for. Of course you want your windows to look good, but you should also figure out what kind of functional aspects you require. Perhaps the most desirable aspect of windows among homeowners is energy efficiency. If you’ve noticed drafts in your house or your monthly energy costs begin to rise, then it is vital that you look for home windows with features that will improve the thermal performance of your home. At ABC Seamless, we can provide you with home windows that have all of these features and more. They are designed to be energy efficient, and it won’t take long for you to notice some big differences in your home. Since our windows keep inside air in and outside air out, there will be less strain put on your HVAC system to maintain comfortable indoor temperatures, which will help to reduce your monthly heating and cooling costs. For more information about the energy efficient home windows we have at ABC Seamless Home Specialists, contact us today. We are proud to serve homeowners in the Madison, WI, area.